Premium Top Floor suite in Parkway Two! This bright & spacious home features full size windows & skylight for lots of natural light and peaceful views to trees, courtyard & open space. Nicely updated with new carpet & linoleum, dcor paint, brushed nickel hardware, light fixtures & ceiling fans and more. A very spacious master bedroom features 4 piece ensuite & walk-in closet. There is excellent in-suite storage plus an extra locker on the same floor. A modernized kitchen & additional eating peninsula, along with newer appliances leave you with nothing to do except relax & enjoy! And why not relax when the monthly strata fee INCLUDES electricity, gas & hot water for low $246 per month!! A caring & proactive council have kept the building in excellent repair with new common area carpets on the way. Safe & affordable 55+ living featuring billiard & party rooms, workshop & guest suite. 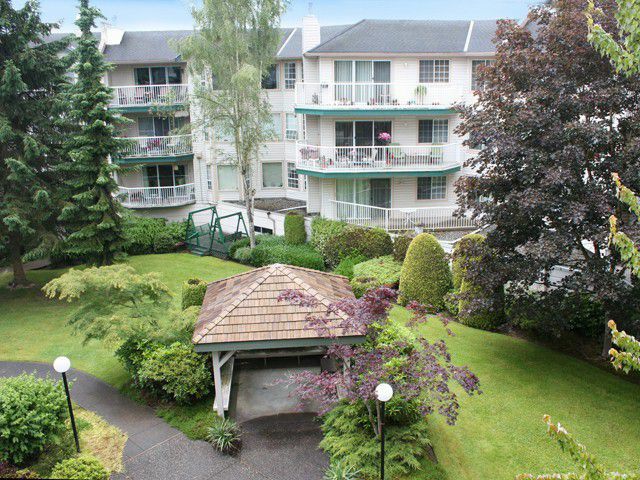 All just a short walk to shopping, transit & recreation. No rentals or pets. Call for your viewing today!